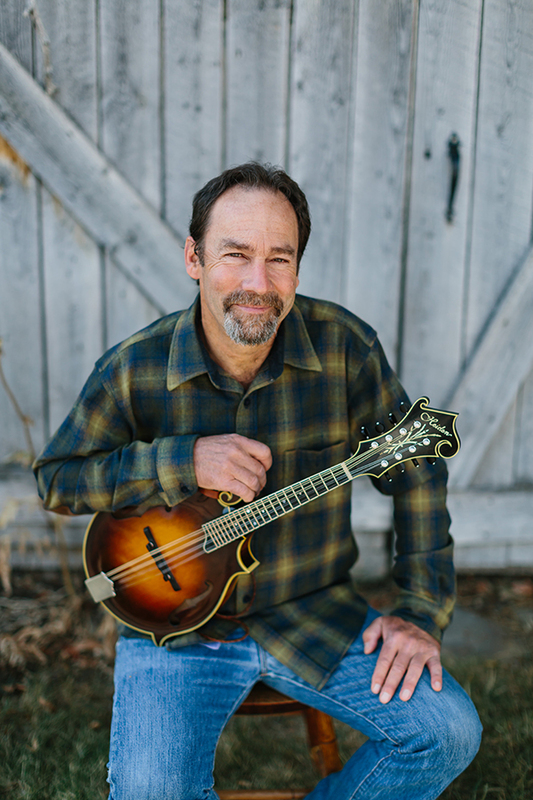 Ben Winship is a self taught musician who has been playing mandolin for over 30 years. He is a versatile player whose musical stew is a mix of bluegrass and old-time, dixieland and blues. Gigs have taken him from Hawaii to Shetland, Anchorage to Equator, with appearances along the way at places like the Telluride Bluegrass Festival, A Prairie Home Companion, NYC’s Bottom Line. In addition to playing the mandolin, Ben is a well respected songwriter, singer & multi-instrumentalist. The Boston Globe called his sound “A further leap from traditional hill country music.” While Tim O’Brien refers to him as “One of the acoustic music scene’s best writers.” Ben has been a stalwart of the Targhee Bluegrass Festival; performing with the Growling Old Men, Kane’s River, Brother Mule, New Reeltime Travelers and the Fishing Music Band. He co-founded the Targhee Music Camp and was the director from 2005-2010.